Smooth out the rough edges on your next project. 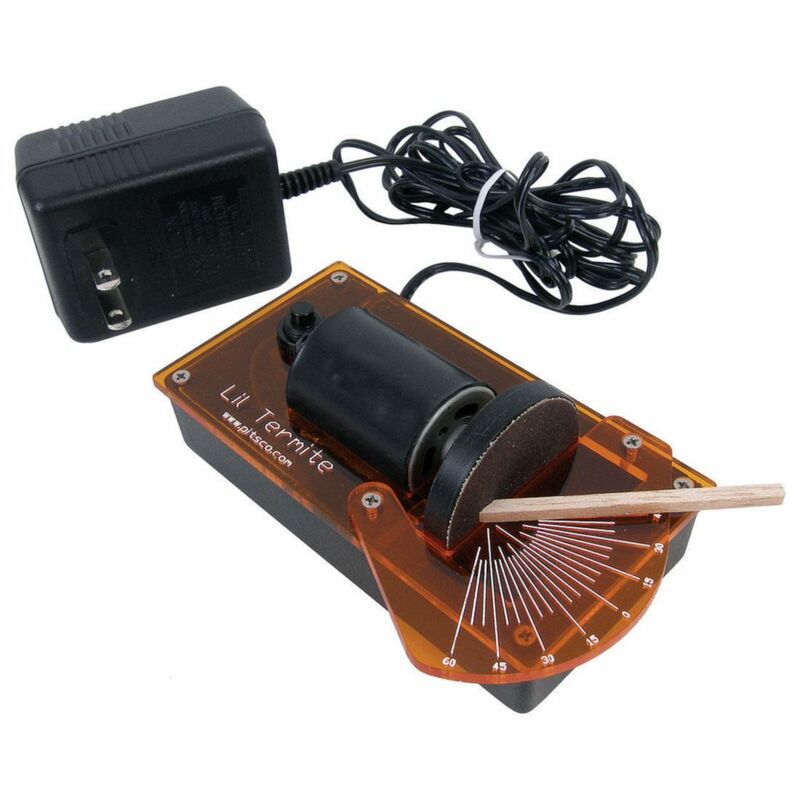 Designed to create more precise angles and tighter joints for balsa wood and basswood structures – as well as to deburr axles for dragsters – the Lil’ Termite Sander is a simple device to operate and clean. You and your students will be amazed at the difference the Lil’ Termite Sander makes on the overall strength and precision of structure joints. To create angles for wood structure pieces, mark the desired angle on the wood piece, place it flat on the sanding table, and push the piece against the sanding disc until it is sanded to the marked line. Or, use the etched miter angles on the sanding table. To deburr axles, lightly hold the axle at an angle to the rotating sanding disc and turn the axle until those burrs are history! Lil’ Termite dimensions are 5 x 3 x 21/4" with a round sanding surface 11/2" in diameter. Includes five sanding discs and a sanding disc cleaner. Uses 110-120 VAC wall outlet. RPM: 9800 rpm using 12 V under no load.